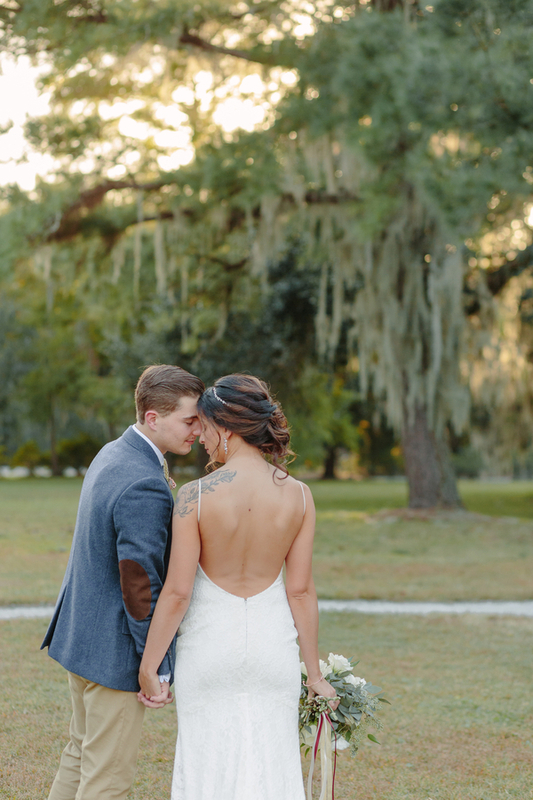 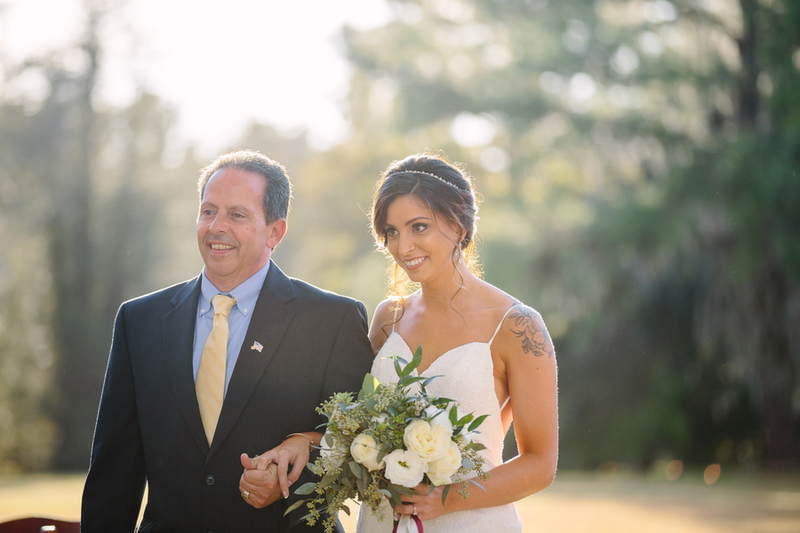 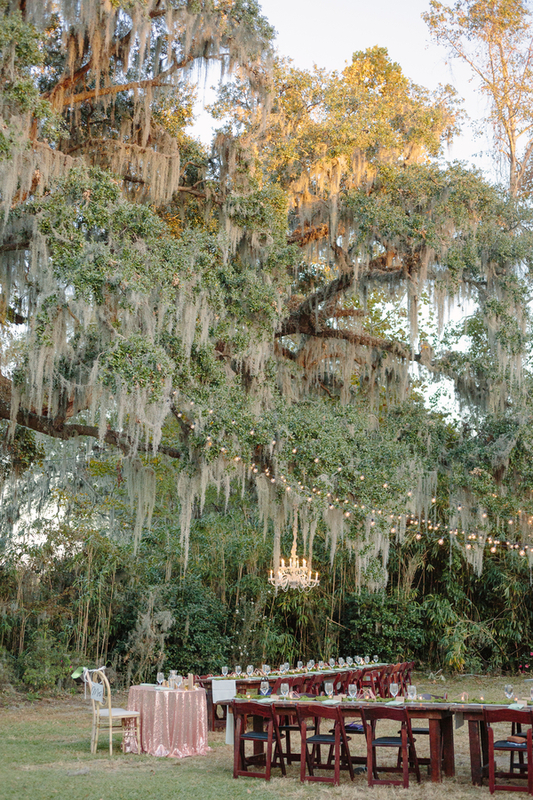 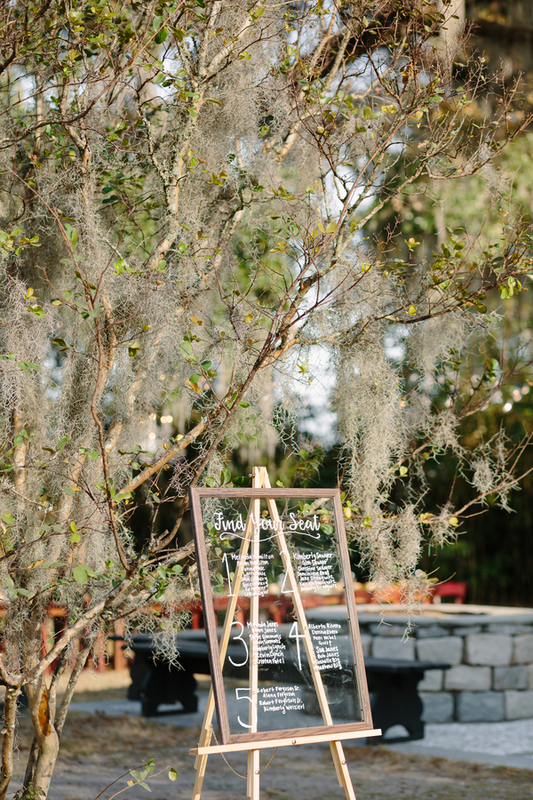 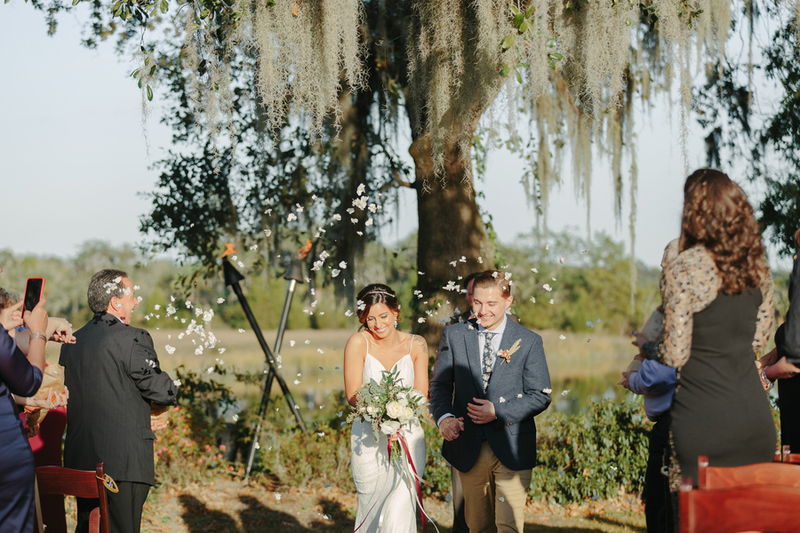 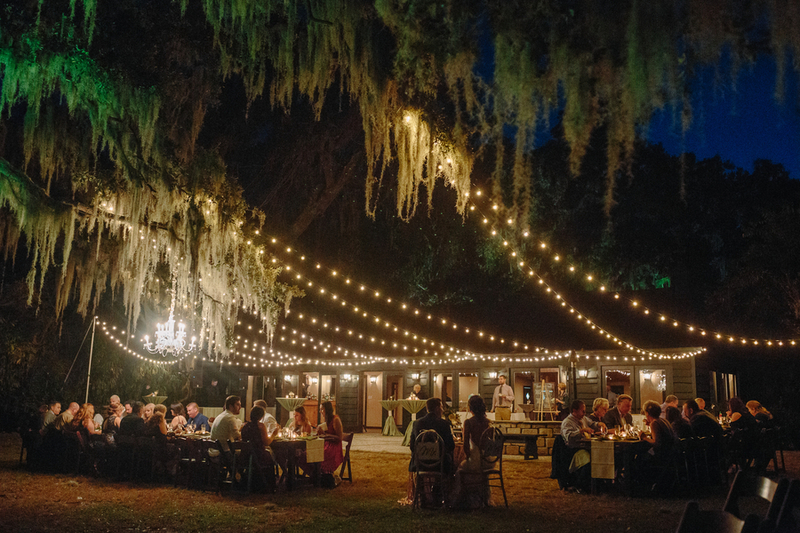 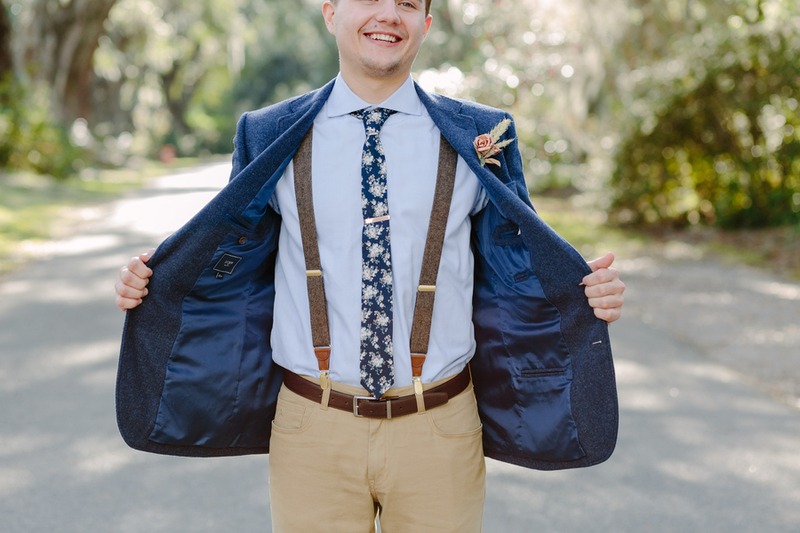 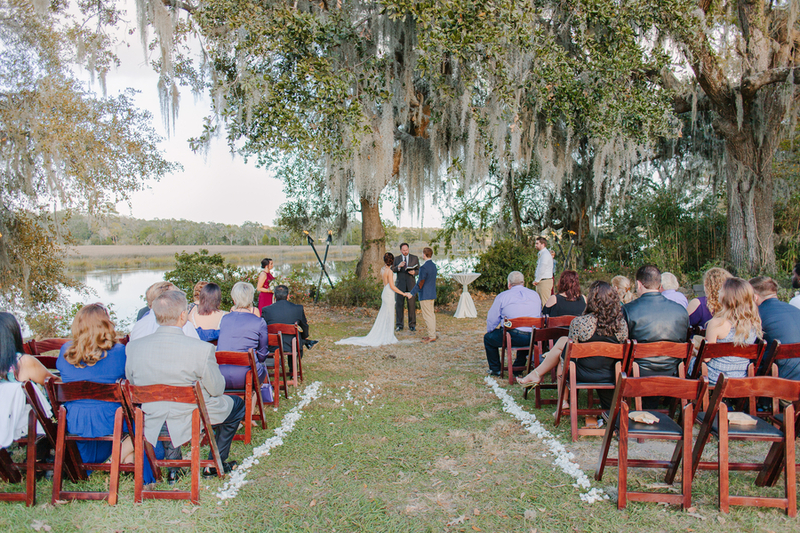 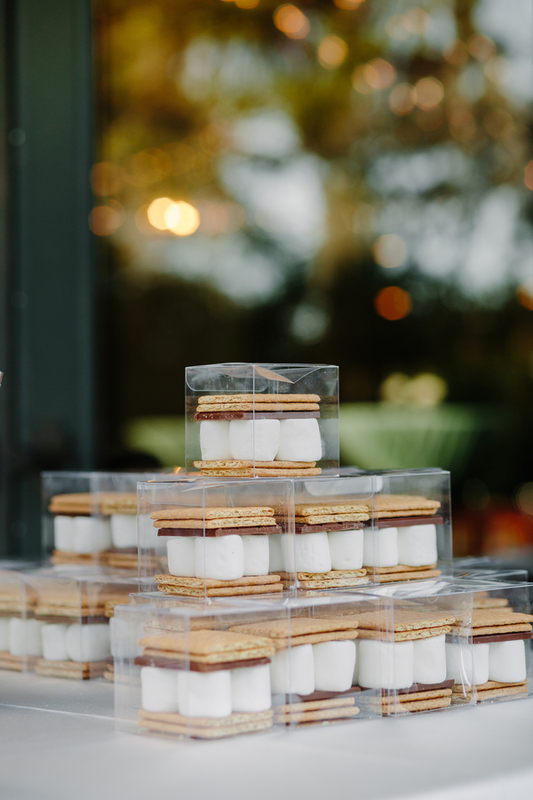 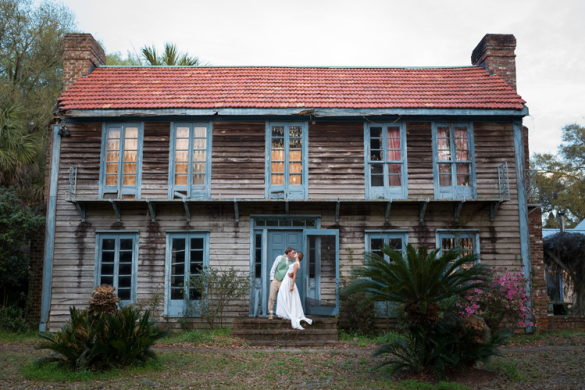 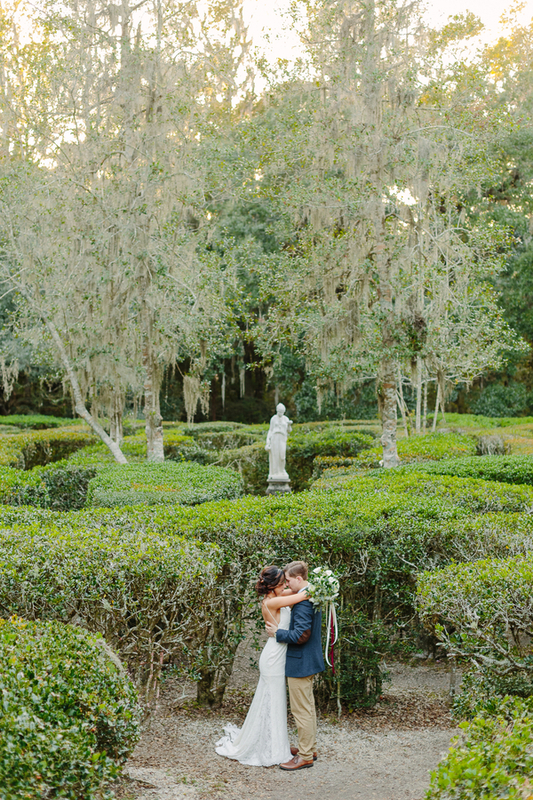 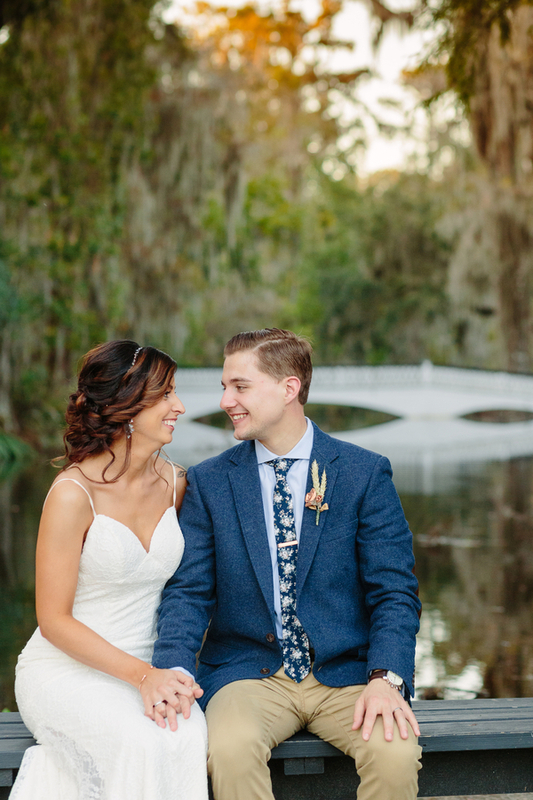 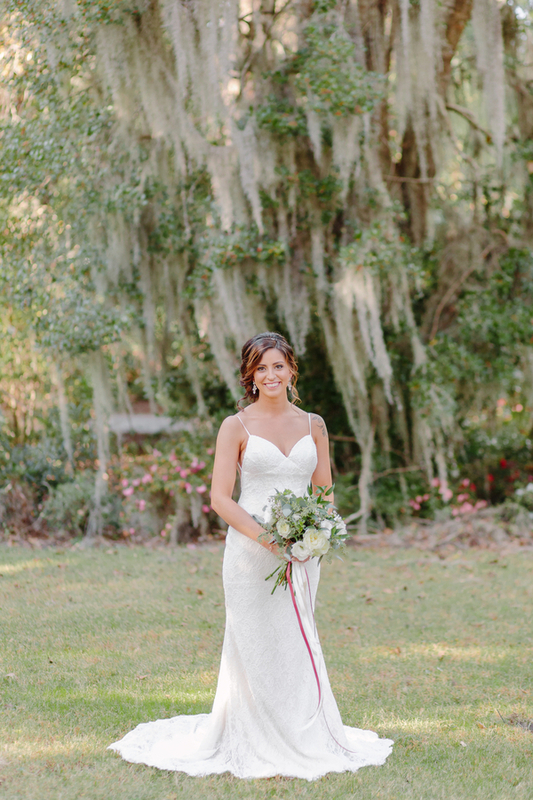 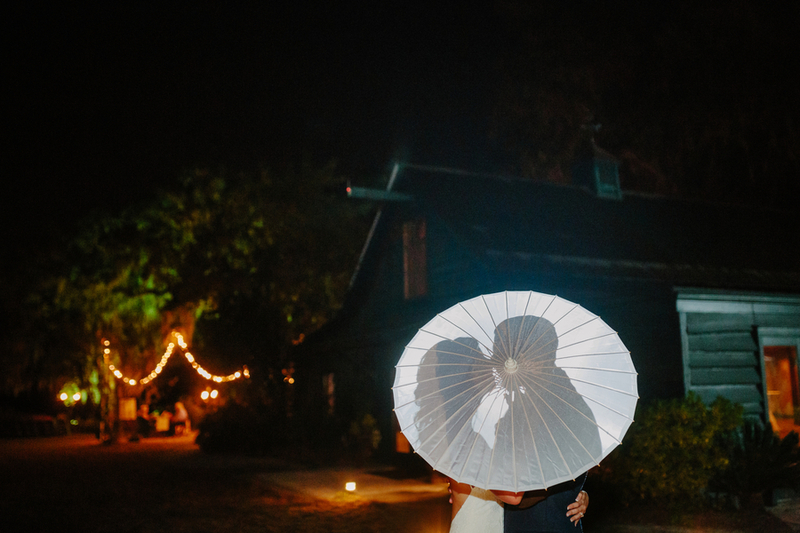 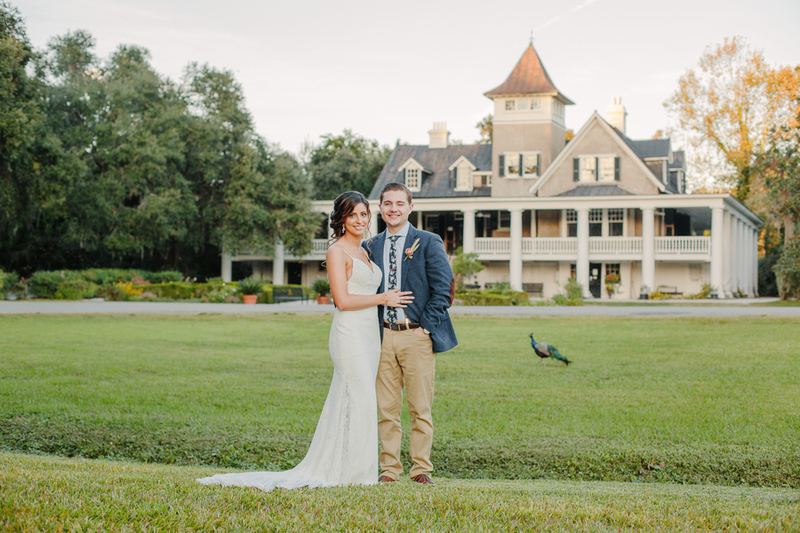 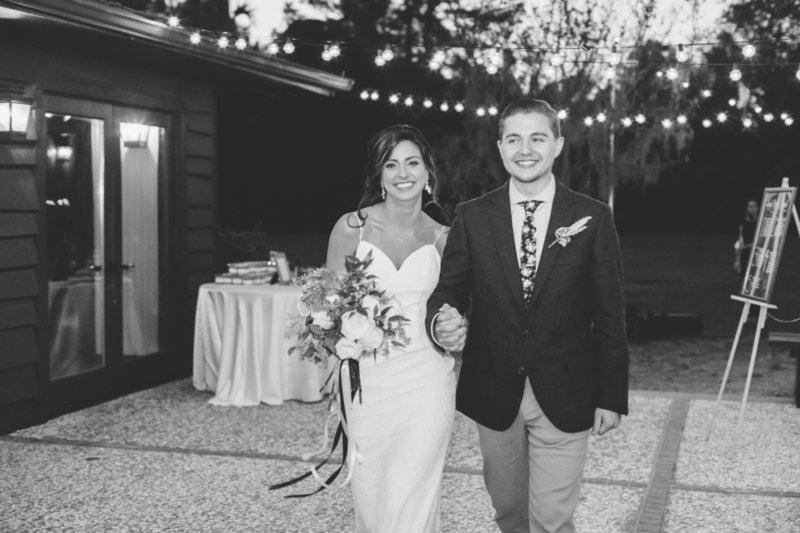 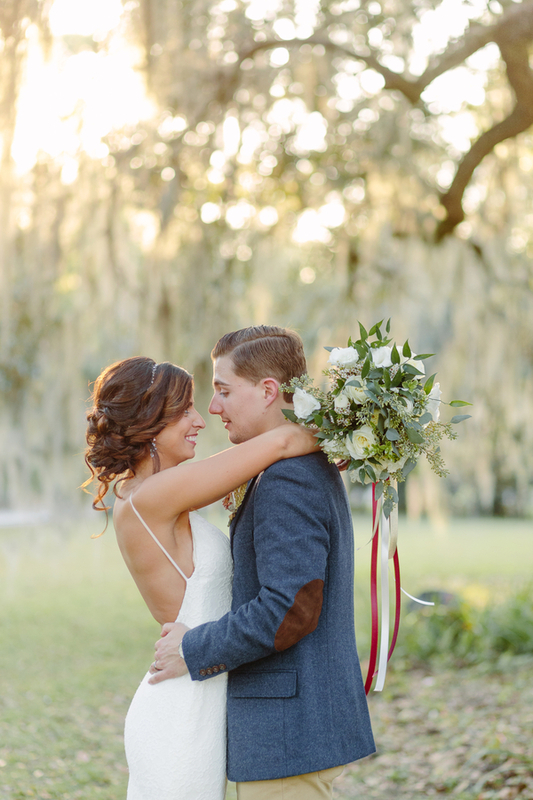 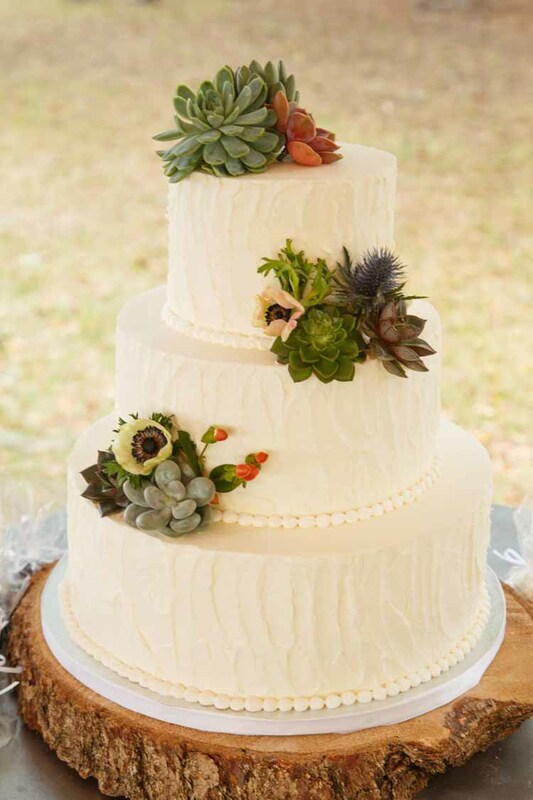 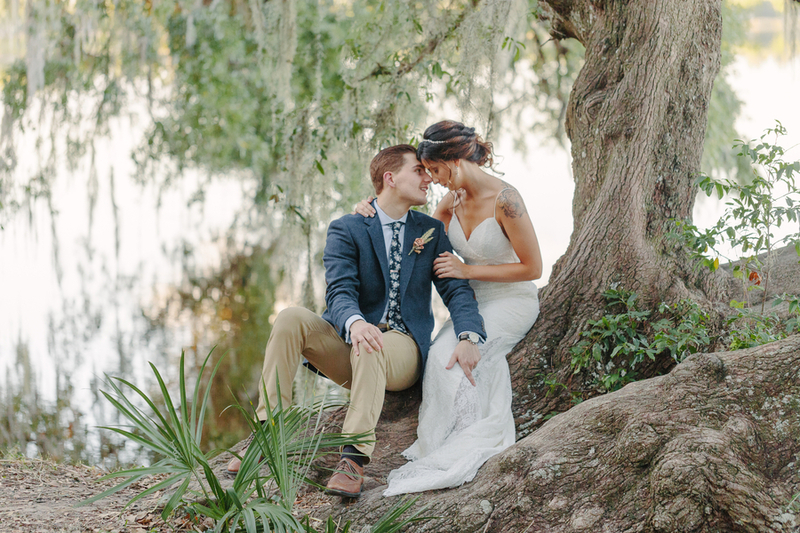 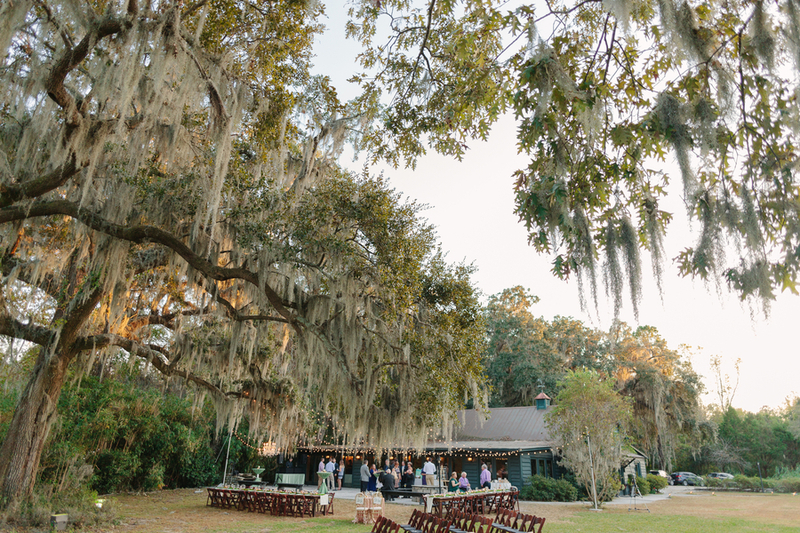 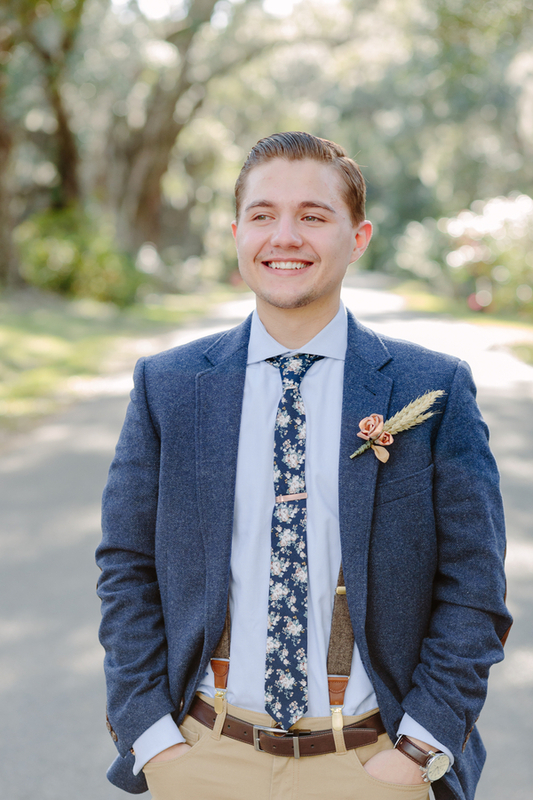 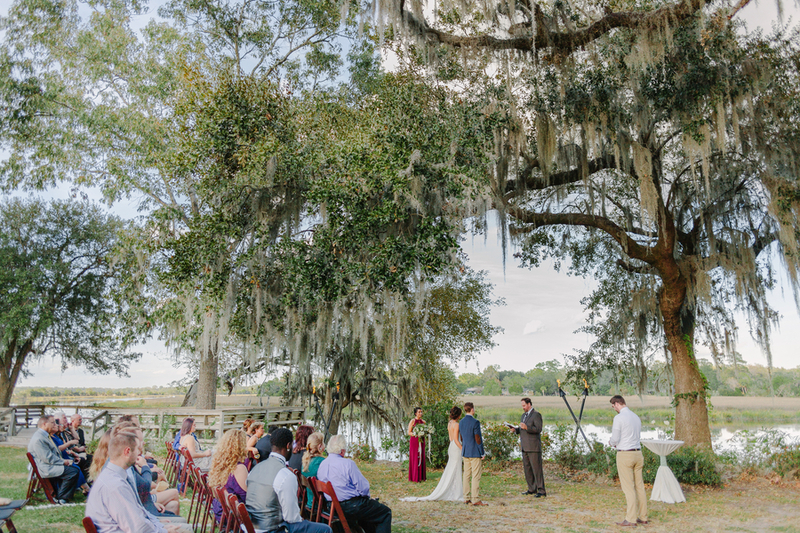 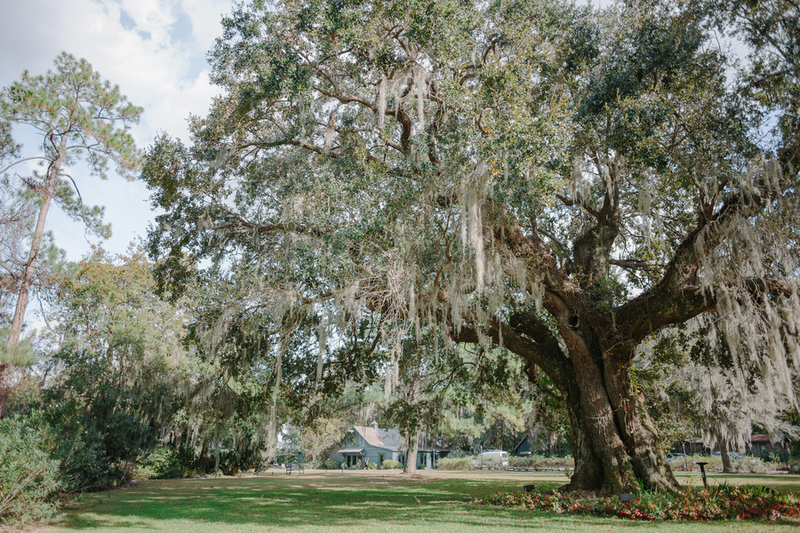 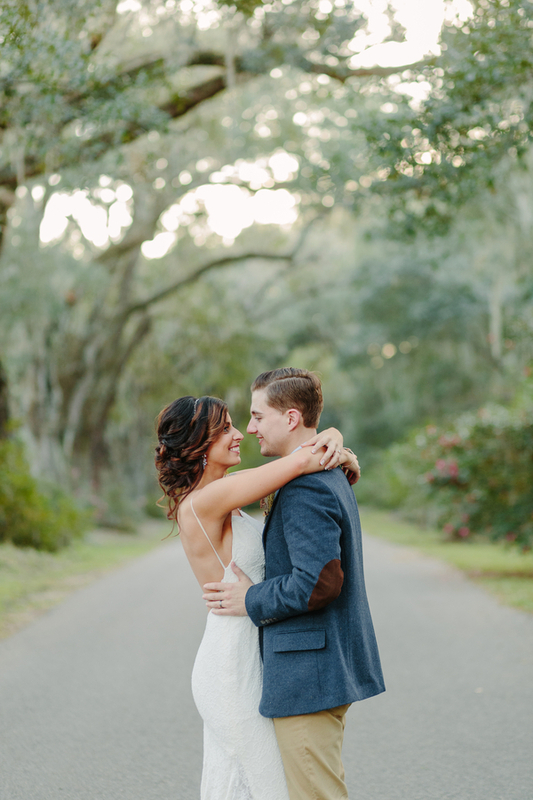 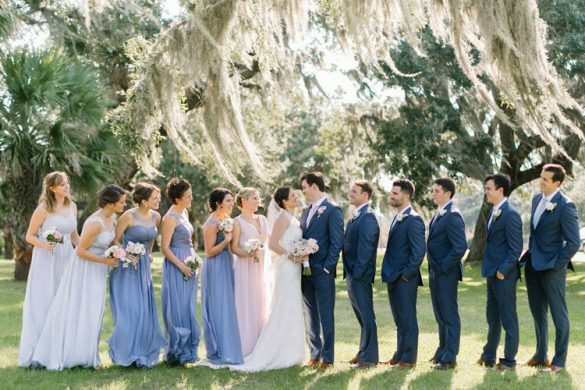 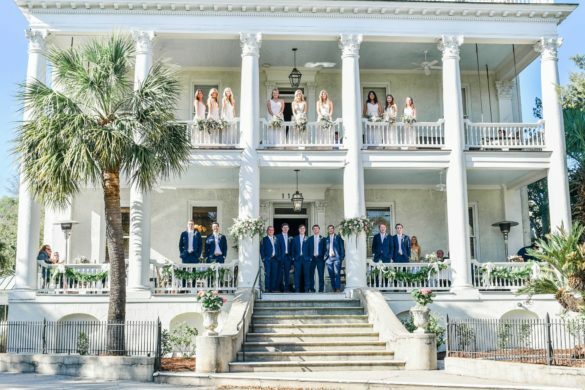 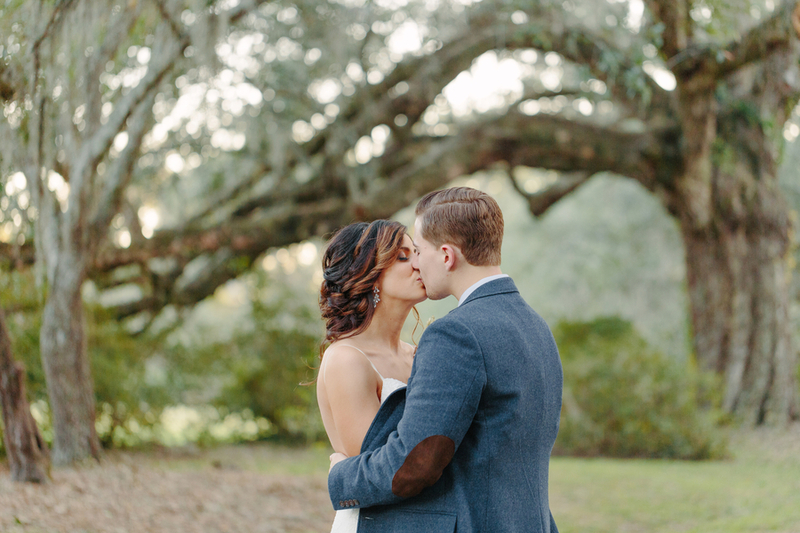 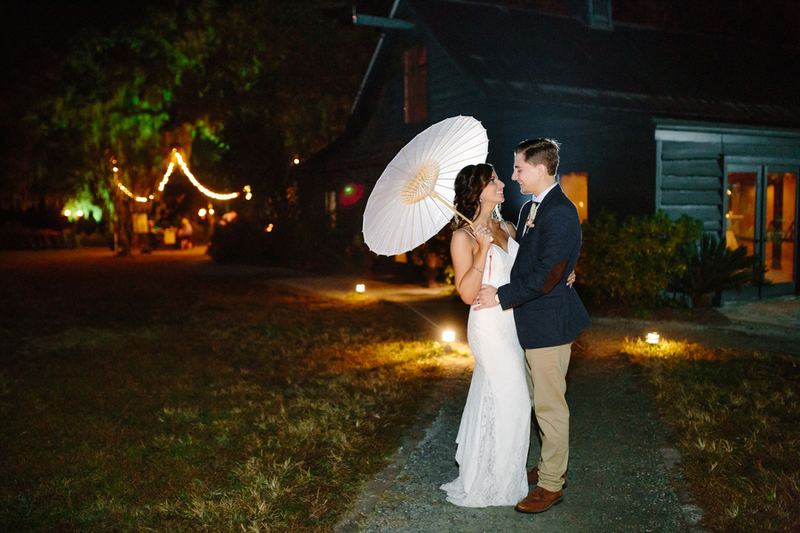 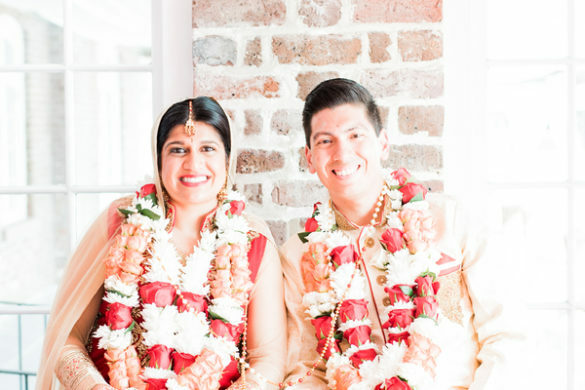 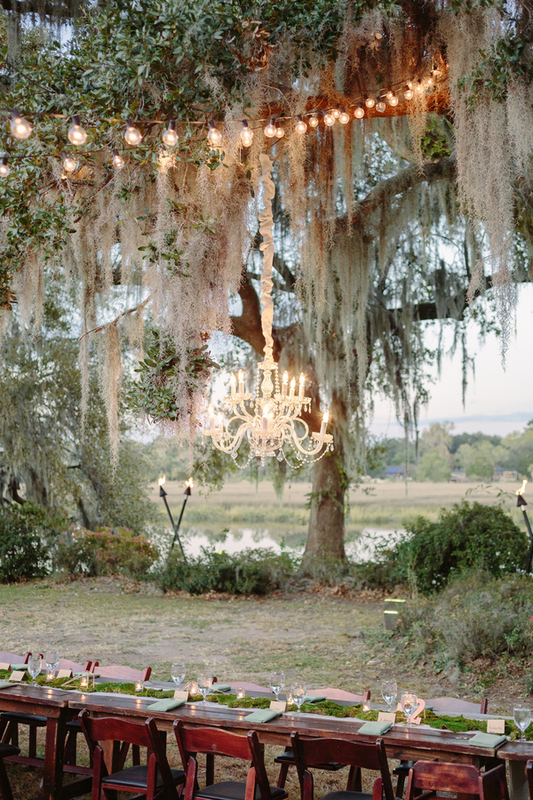 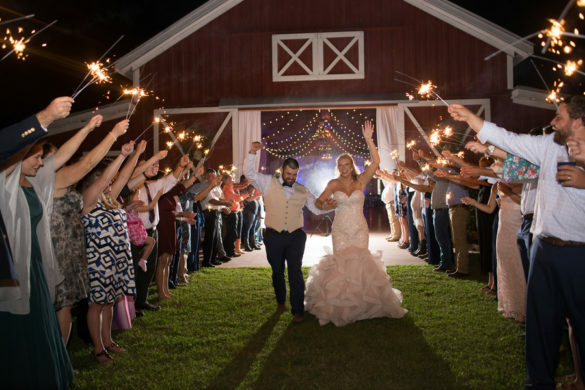 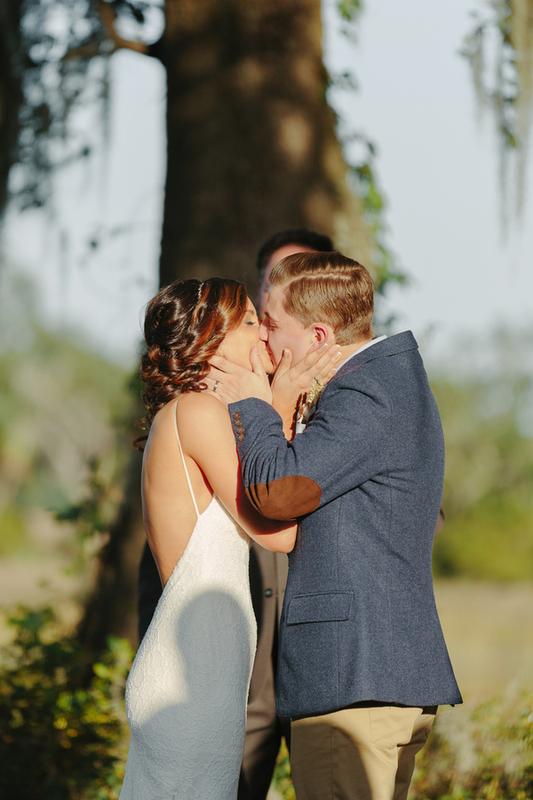 Samantha and Robert celebrated their big day under the cafe lights and Spanish Moss at Magnolia Plantation and Gardens. 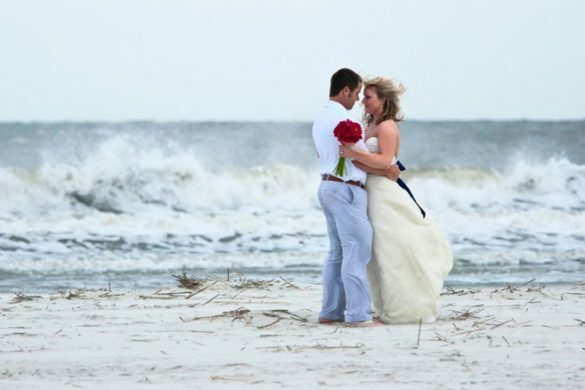 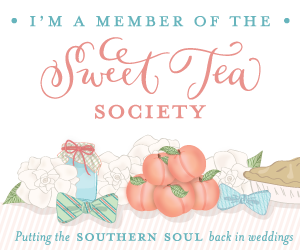 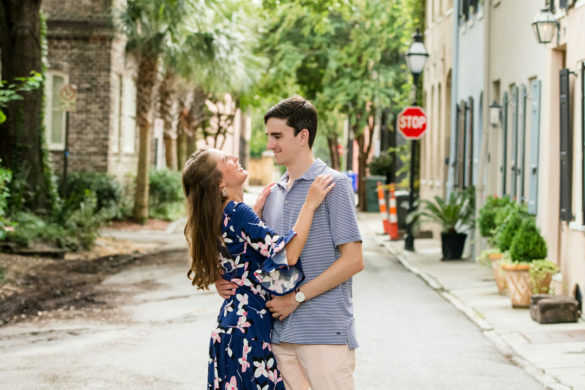 These two have been together since high school, and they’re not slowing down any time soon! 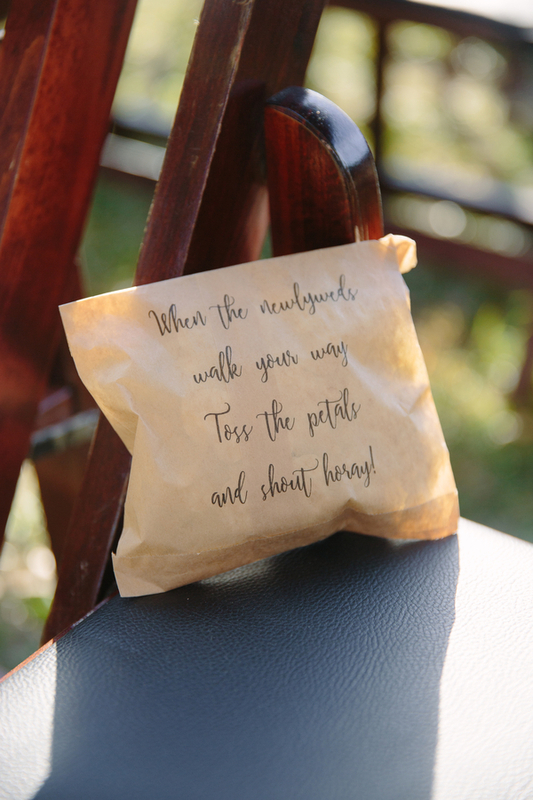 When they aren’t working on their new home, they are out exploring hiking trails and enjoying their time together over craft beers! 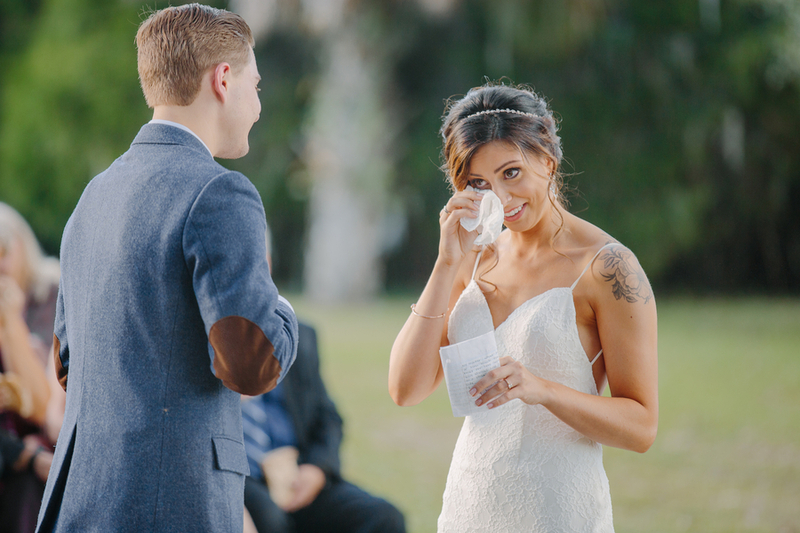 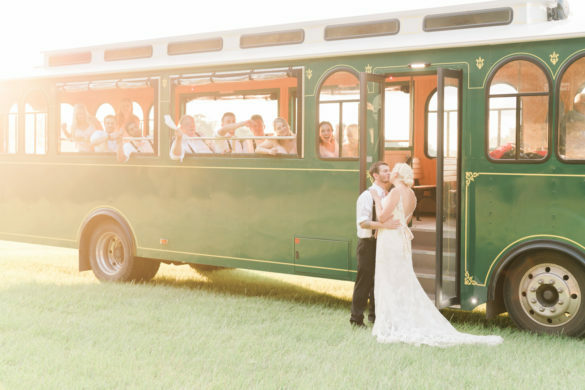 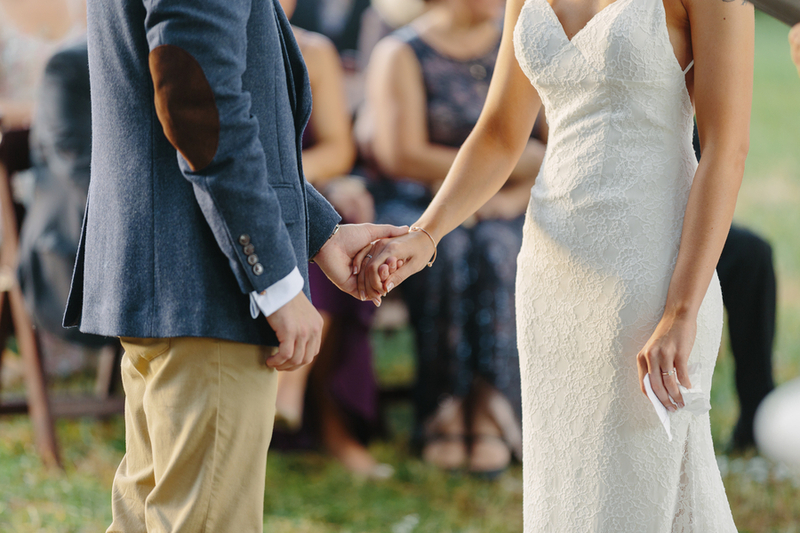 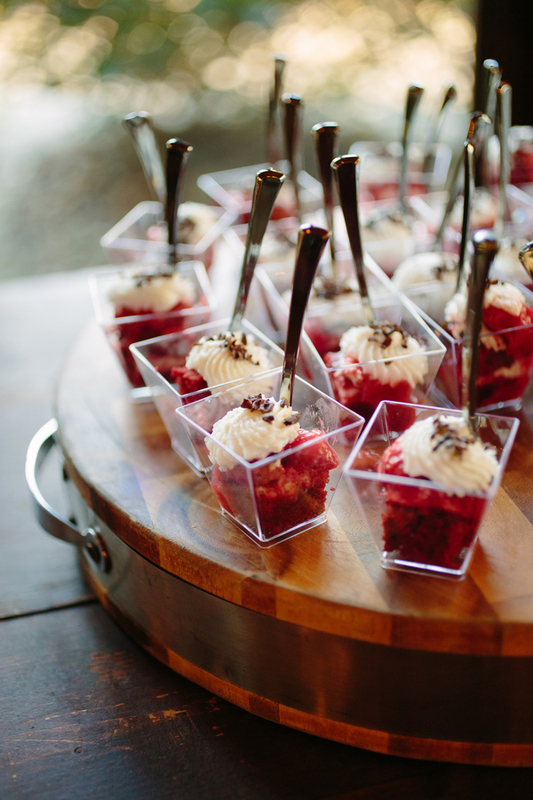 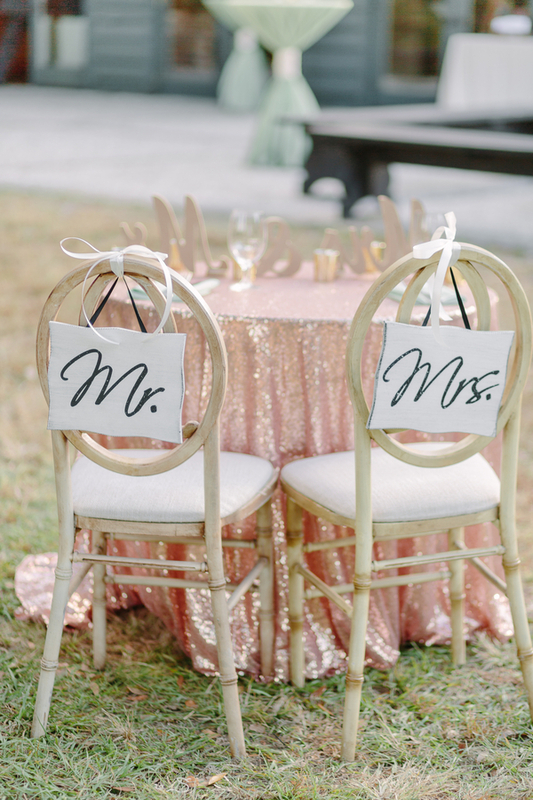 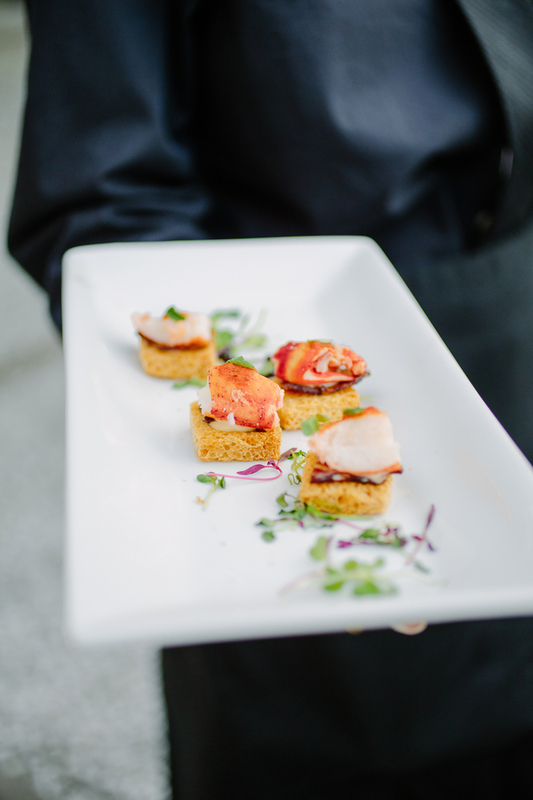 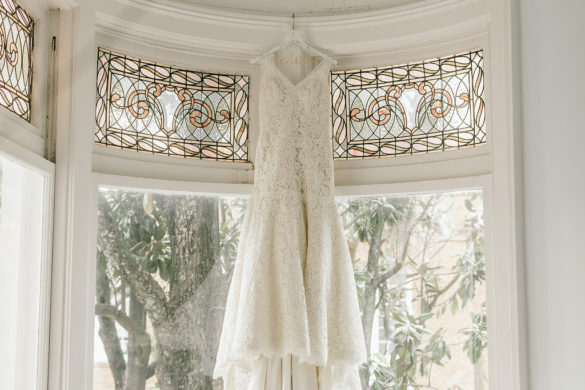 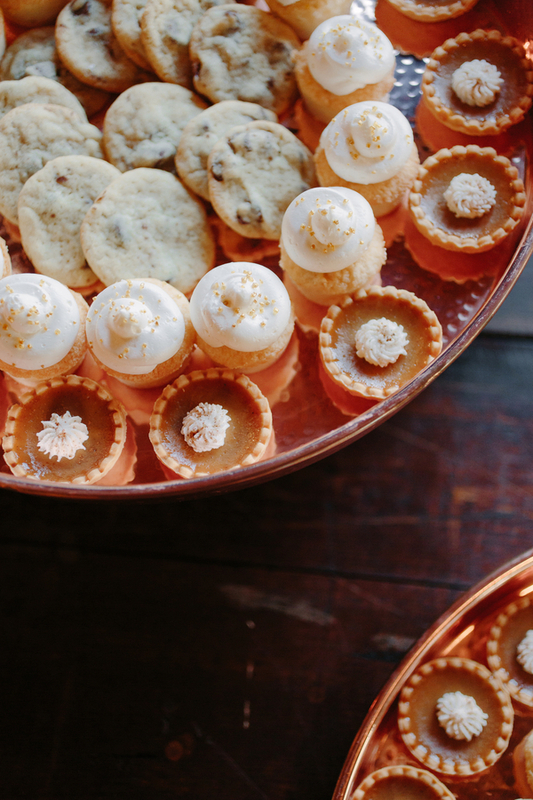 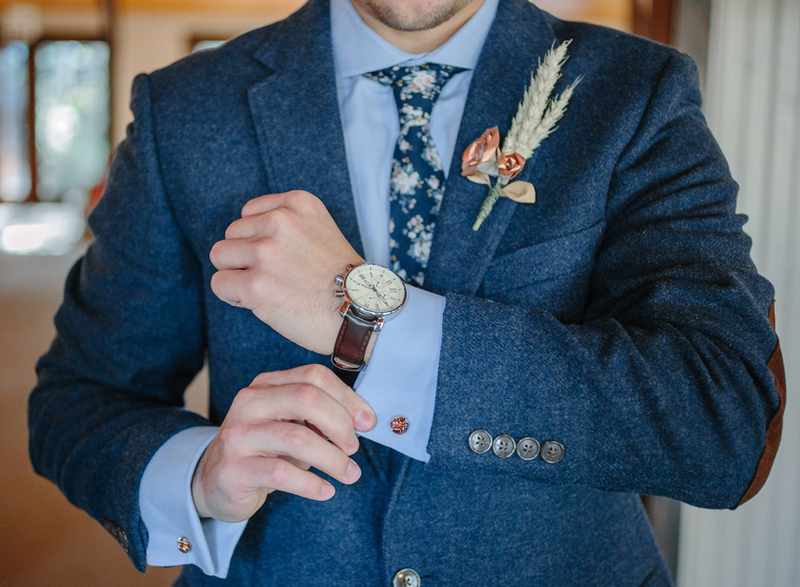 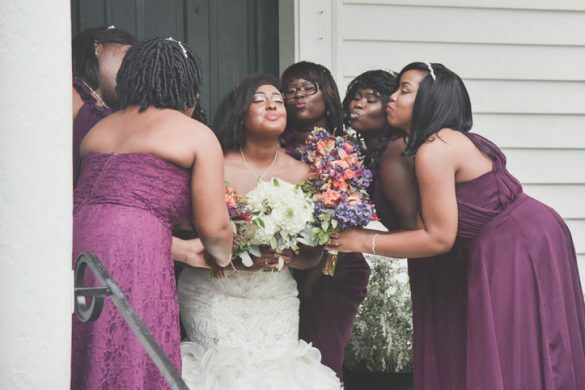 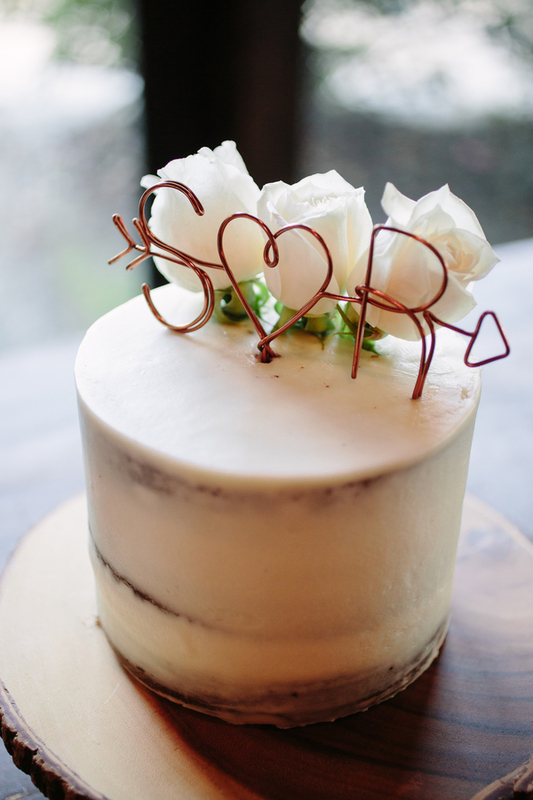 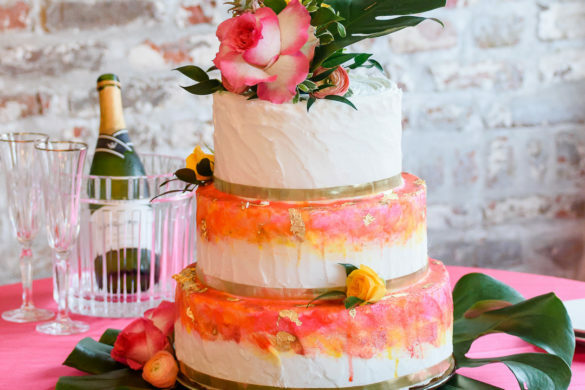 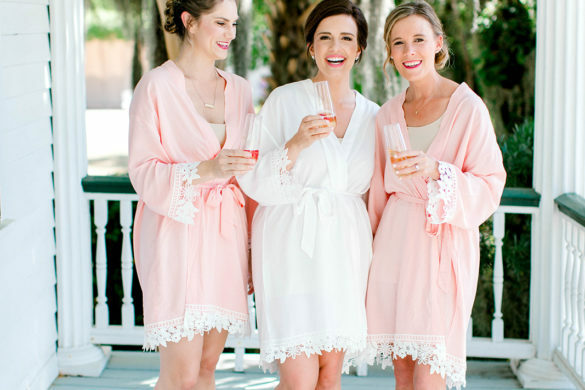 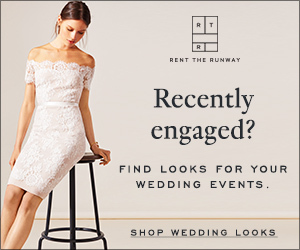 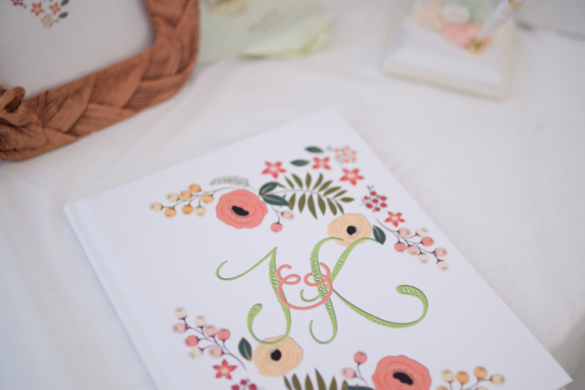 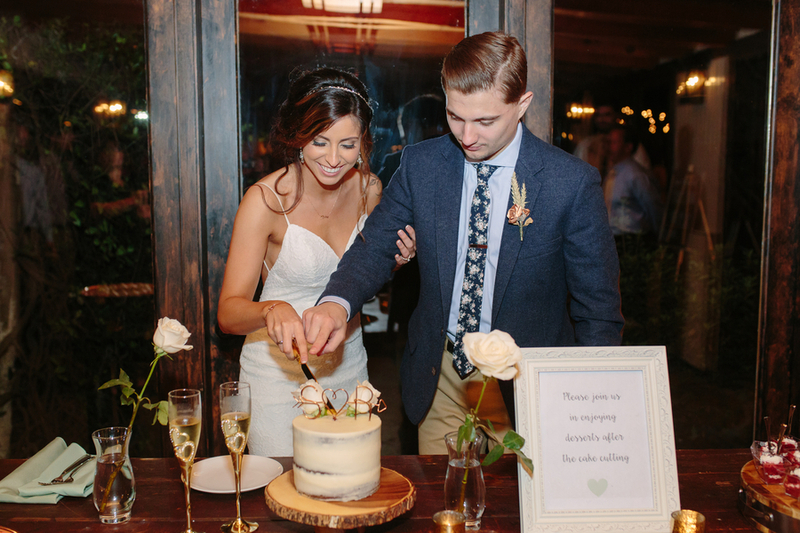 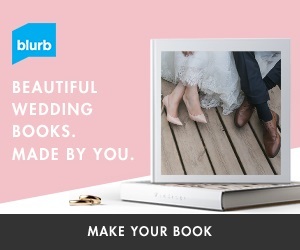 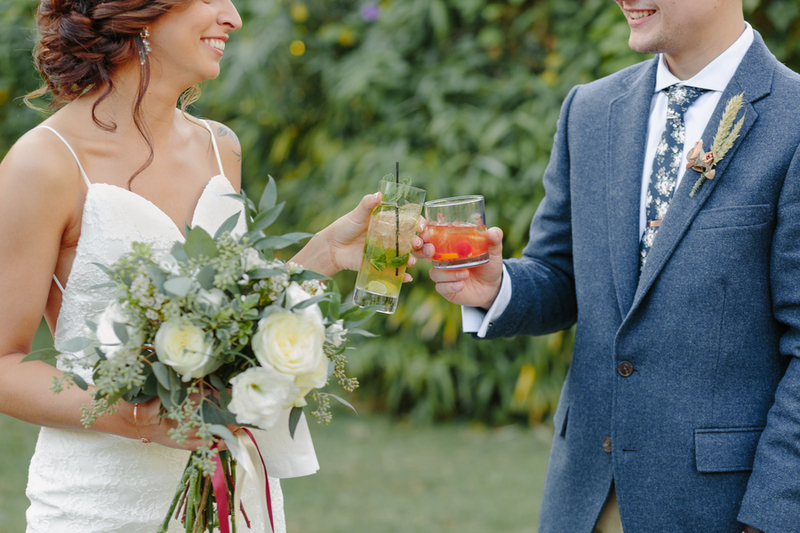 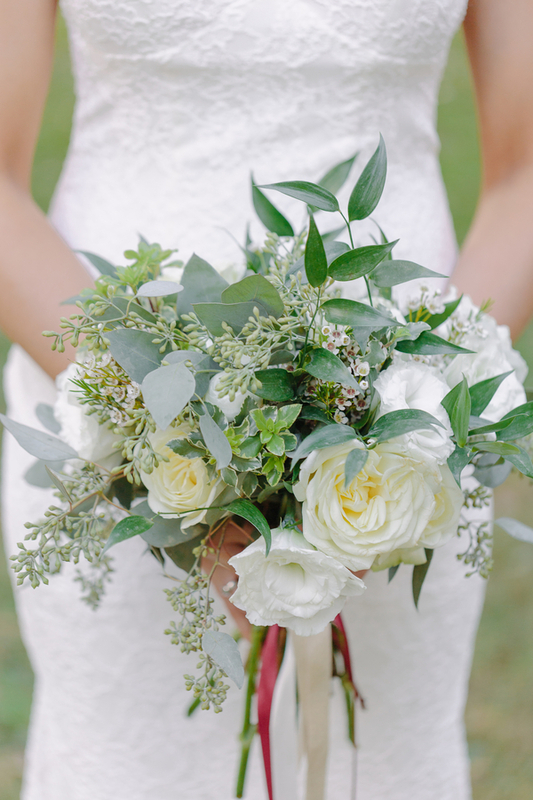 Their fun-loving spirits were displayed throughout their wedding day in the details. 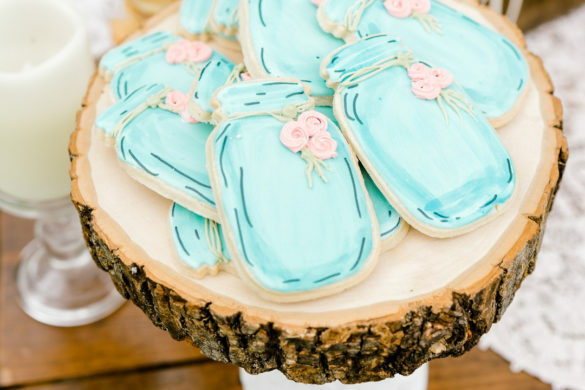 Samantha loves decorating, so the decor was all her doing! 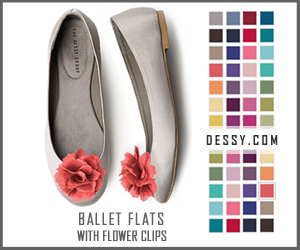 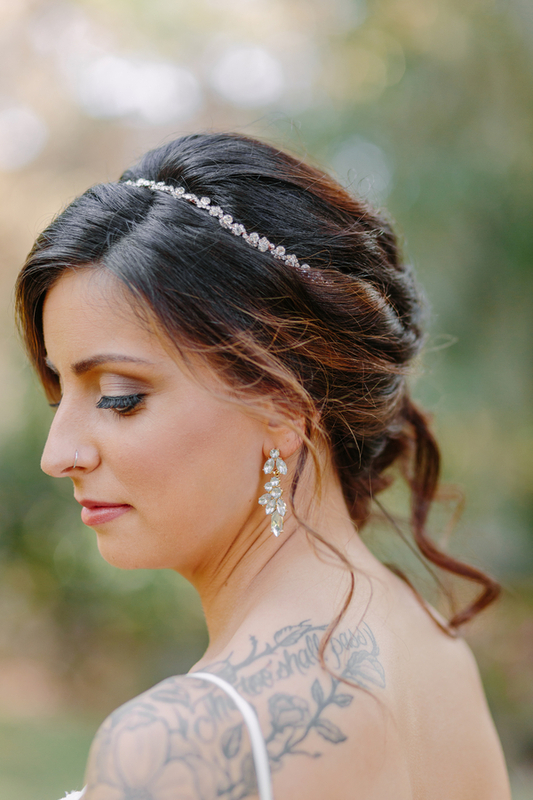 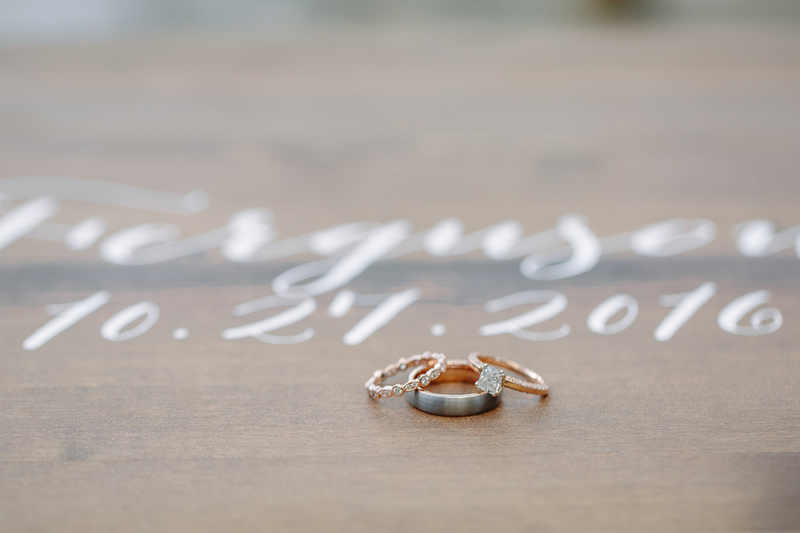 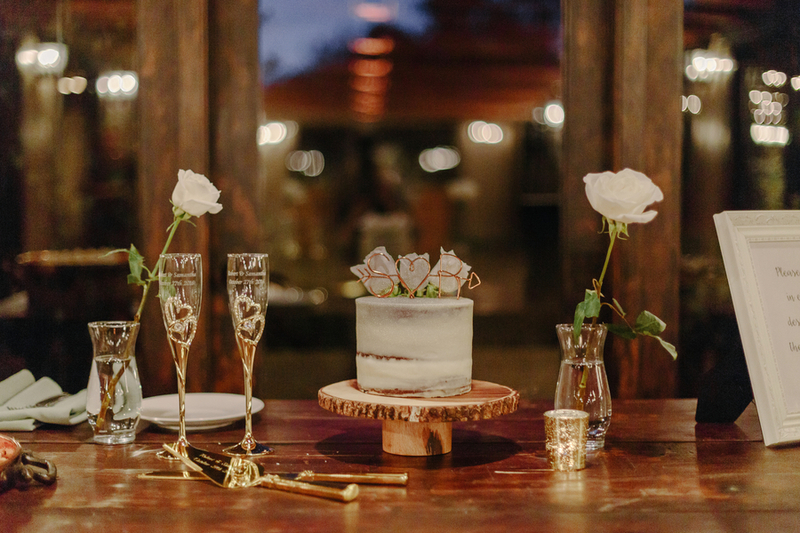 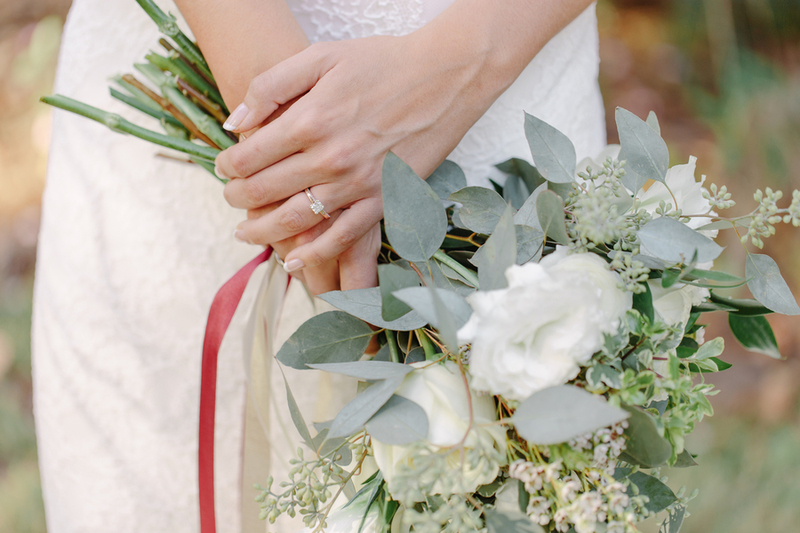 Rose gold is a favorite in her color palette, and she incorporated it just beautifully throughout. 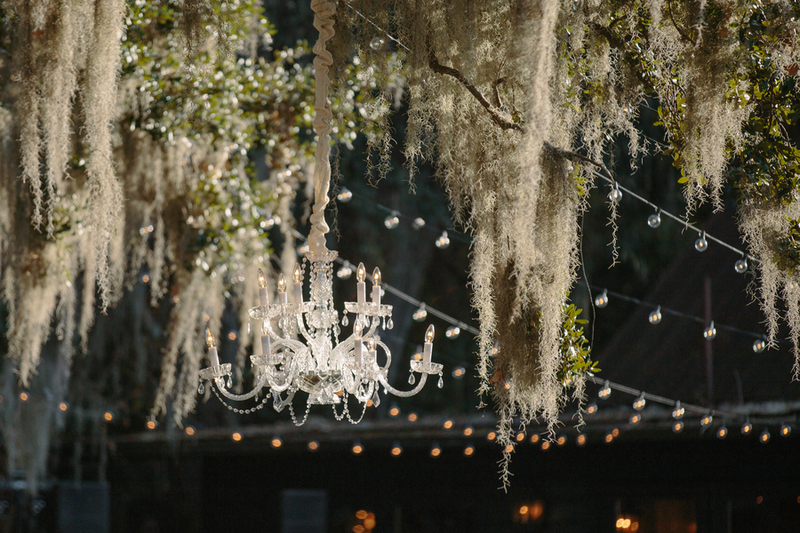 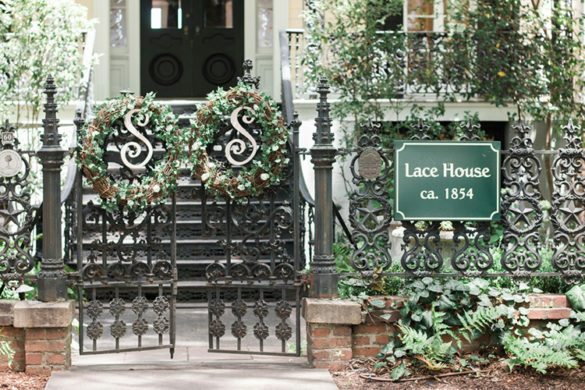 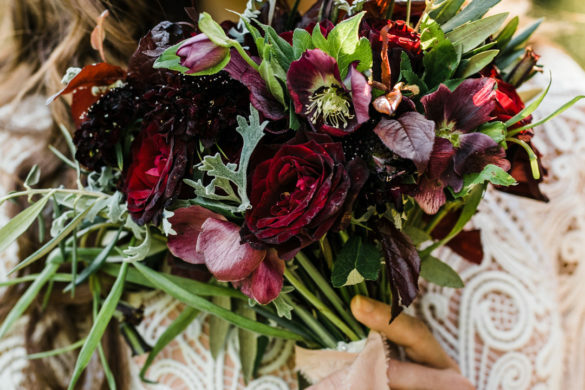 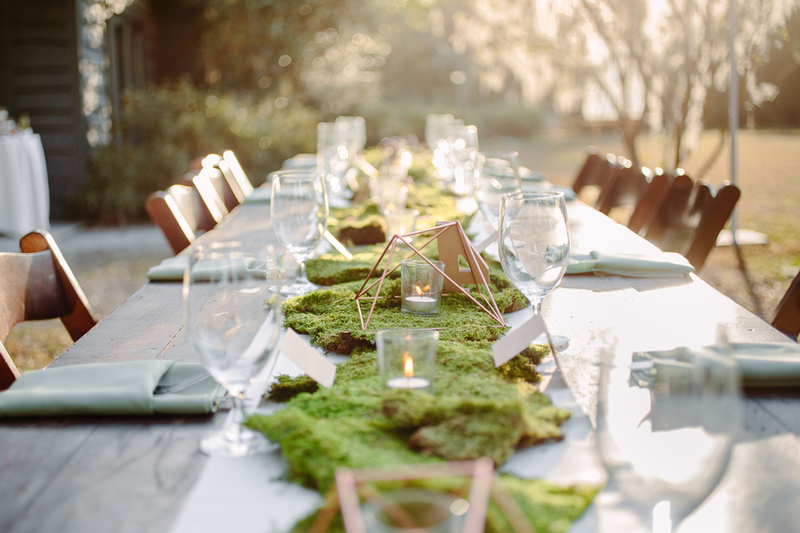 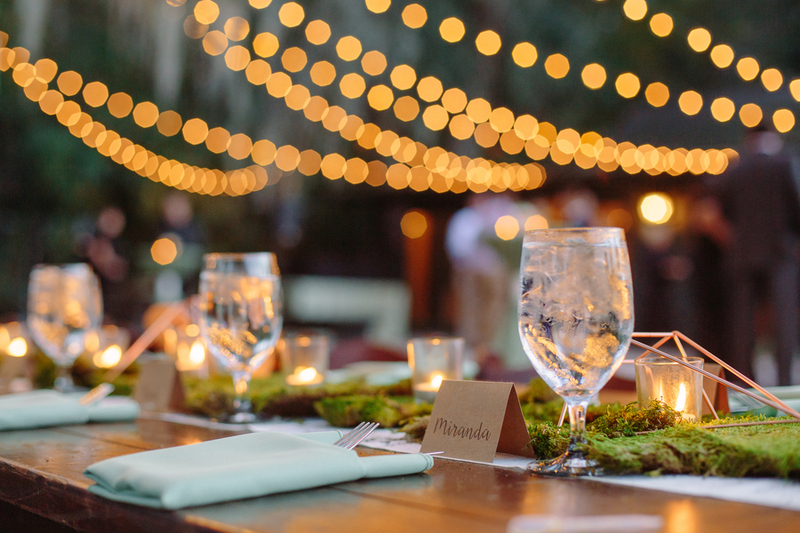 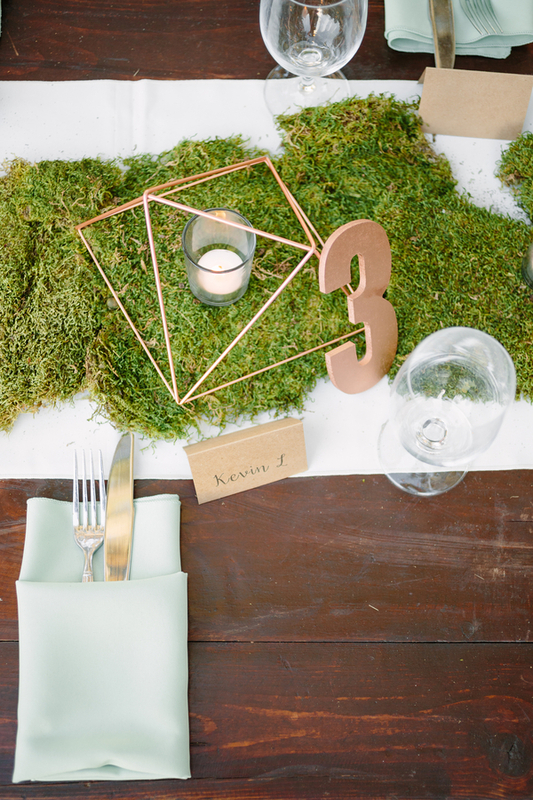 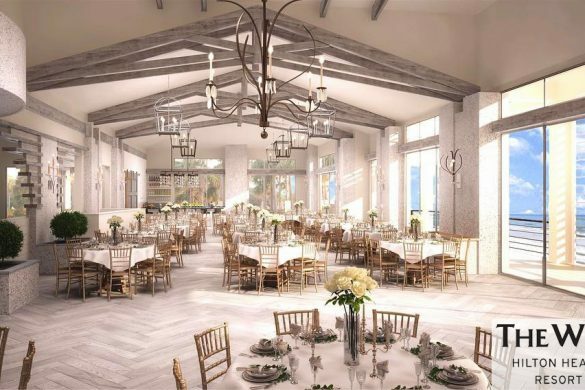 Her theme of “organic, al-fresco” was portrayed perfectly in the mossy centerpieces and elegant chandeliers.